Windows Phone and now Windows 8 embody some of the most important qualities of flat design: big solid blocks of saturated colour (ideally neon), no drop shadows, no bevelled edges, strong lines, big tiles. It's minimalist, modern, bright. And looks like the shelves at Toys R Us. I suppose on the development front, they are less of a faff to create than designs that use all those shadows, backgrounds and and transparency effects. You can get on with the real business of an app - the content and function. Content is now front and centre, navigation is hierarchical and simple (flattened). Windows 8 may not have sold like gangbusters, Windows Phone even less so, but somehow it has captured the designers imaginations for touch interfaces and put a stop the the icon arms race. 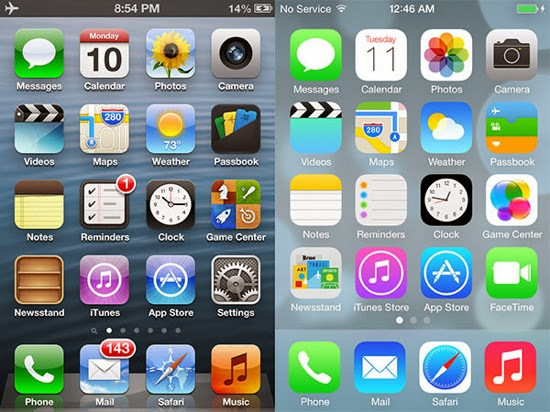 Even Apple has gone flat: take a look at iOS6 and iOS7. The latest from Cupertino has been Metro'd. Who'd have thought? By cutting the 3D detailing, edges, finishes, iOS 7 looks simpler and cleaner. It also refreshes on screen faster. The same can be said for the touch interfaces of Windows Phone, Windows 8 and many websites. Now the designers have cut all the background images and textures, the basic page render time is dramatically shortened. Which is just as well given the on-screen widgets and tiles that are now packed with content and function. It also means that responsive design is much more acheivable - layouts resize painlessly when all you're using for panes and panels are solid blocks of colour in place of background images which have to be tiled, rendered and painfully cropped. Now we're seeing the reuse of interface components across desktop and mobile. Same code, which means cheaper to write and maintain. At least skeuomorphic design attempts to frame things in a way that you recognise from the physical world. Your desk diary may not be hand stitched in leather, but as an object, you recognise it and understand how it works. You can see the edges of tabs. The call buttons on the elevator panel have bevelled edges, depress and light up when you use them. Flat design has to compensate with super-clean and efficient interfaces and controls. I won't say intuitive as no user interface is inherently intuitive, they all have to be learned, but some build on the familiarity of others. Software developer's tools are now embracing more and more flat controls, and you can already see a two-tier ecosystem emerging. Big name software companies such as AVG are leaping on the flat design bandwagon just so they don't look out of place on the Windows 8 Modern UI front-screen. 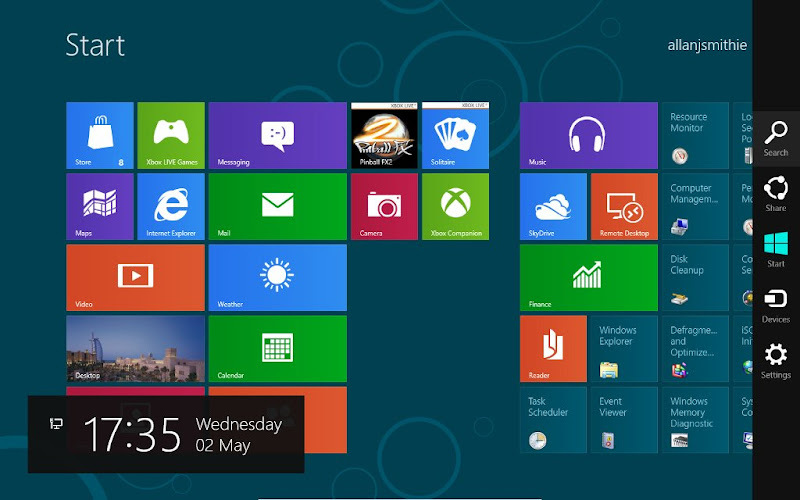 They just look rather strange on a Windows 7 desktop. Everyone else who can afford it is re-writing for the new flat framework. The same goes for web-sites.